As a Man Thinketh – Written by James Allen, a philosophical writer from Great Britain, this book was published way back in 1902. Although more than a century old, many businessmen still abide by this book, so you should definitely give it a go. Meditations – Diving even deeper into the waters of time, this book is a collection of inspirational quotes, written by Marcus Aurelius, a well-known Stoic philosopher. Keep in mind that there is a reason why people still find this book more than useful. The Obstacle Is the Way – Yet another example of the principles of ancient Greek Stoicism, this book, published in 2014 and written by Ryan Holiday, offers examinations of leaders throughout the history, from Marcus Aurelius to Steve Jobs. Business Adventures – This book is a collection of New Yorker stories, collected by John Brooks. This one is Bill Gate’s number one favorite, what more is there to say? Zen and the Art of Motorcycle Maintenance – Maybe you’ll find it strange to see this book by Robert M. Pirsig in a list like this one, but there is a reason why Brad Feld recommended it as an entrepreneur reading material – but we’ll let you interpret it on your own. Reality Check – With chapters that emanate the feeling of blog posts, you, as an entrepreneur, have much to learn from each one. Written by Guy Kawasaki, this book has been recommended by successful entrepreneurs. Surely You’re Joking, Mr. Feynman! – This autobiography, written by the man mentioned in its title, Richard P. Feynman, is a useful tool for any entrepreneur. If you don’t believe it, we’ll let the fact that Feynman won the 1965 Nobel Prize in Physics convince you to give it a read. Things Hidden Since the Foundation of the World – The French philosopher René Girard certainly knew his way around business. Containing his thoughts about the world and business, the author cleverly points out what we may have missed. Think and Grow Rich – Don’t let the cheesy title fool you – this book is amazing when it comes to the way one sets their goals. This one is Napoleon Hill’s classic business book. Benjamin Franklin – Every entrepreneur that has been in the game for a while knows that Ben Franklin was an entrepreneur, and a good one at that. Having started from nothing, he worked his way up, so you’ll definitely want to read about this in words of Walter Isaacson. The Innovator’s Dilemma – There is a reason why Jeff Bezos, the founder of Amazon made all his executives read this book by Clayton Christensen. There is no book that explains how to beat large companies in their own respective fields better than this one. The Fountainhead – This interestingly-named book, written by Ayn Rand has a lot of useful advice for any entrepreneur. Nothing captures the entrepreneurial passion and spirit better than this book. The 7-Day Startup: You Don’t Learn Until You Launch – This is one of the top books for entrepreneurship first-timers. Dan Norris, the writer of the book, has experienced years-long failures, until he reached success, so you can definitely learn a thing or two from him. The Ultimate Real Estate Investing Blueprint – As reported by Huffington post, the real estate industry is looking to pick up pace in 2016, so educating yourself about this line of work is advisable. The mentioned reading resource, written by Sean Terry from Flip2Freedom, is an excellent guide to learning how to flip houses. Blink – In this book, Malcolm Gladwell throws a look at the science behind decision-making and general intuition. These are great subjects for any aspiring entrepreneur. How to Get Filthy Rich in Rising Asia – Bearing a heavy title, this book by Mohsin Hamid is about growing up in a Southeast Asian slum and rising above this to become a successful entrepreneur. There is a lot to be learned in this interesting book. Zero to One – Published in 2014 and written by the PayPal cofounder Peter Thiel, this book’s focus is on making use of technology to build a successful business. It also preaches research as an essential part of diving into a startup. Elon Musk: Tesla, SpaceX and the Quest for a Fantastic Future – Behind this hefty title is a cleverly-written biography of Elon Musk, written by Ashlee Vance. This book explores Musk’s journey from South Africa to involvement with many successful businesses, such as Tesla and PayPal. Unbroken: A World War II Story of Survival, Resilience and Redemption – Yet another book that isn’t strictly business-related, it is an inspiring true story, featuring Louie Zamperini, who faced huge challenges in the world’s largest war. It is, above all, a story of personal sacrifice and perseverance – traits hugely linked to the world of business. Creativity, Inc.: Overcoming the Unseen Forces that Stand in the Way of True Inspiration – If there’s someone who can tell you stories about creativity and innovation, that is Ed Catmull, the co-founder and CEO of Pixar. We warmly recommend this book. 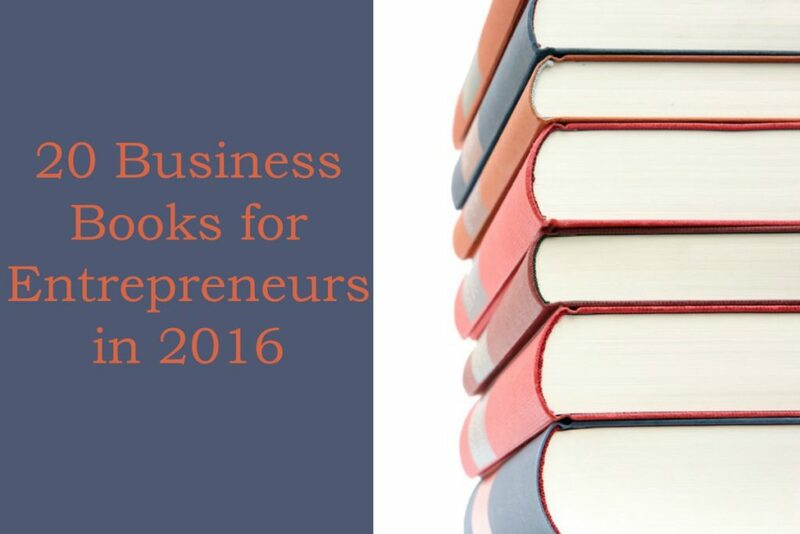 This reading material will help you dive into the world of entrepreneurship. While it may be difficult to read each and every one of the mentioned books, start with those that inspire you the most – you won’t regret it!